Happy Valentine’ day everyone! 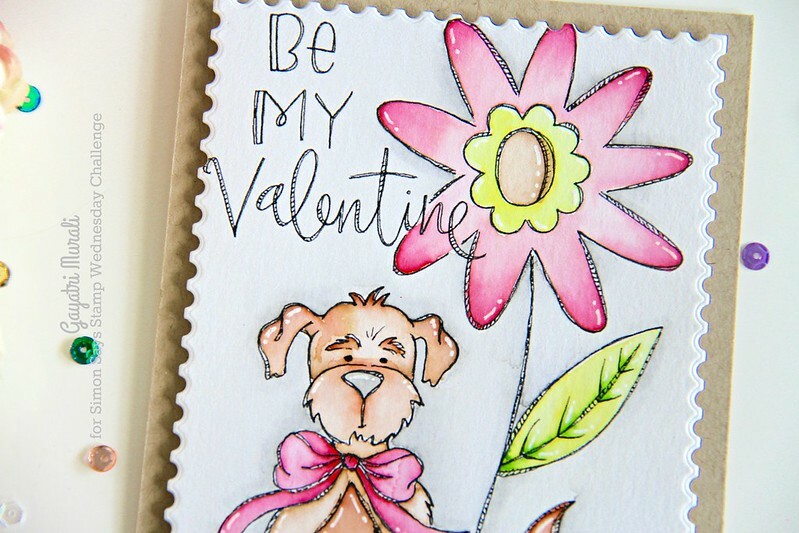 Sharing a valentine’s day card using Simon Says Stamp watercolour panel from Suzy’s Take My Heart from Hey Love collections. 1. Card Base is Kraft cardstock. 2. 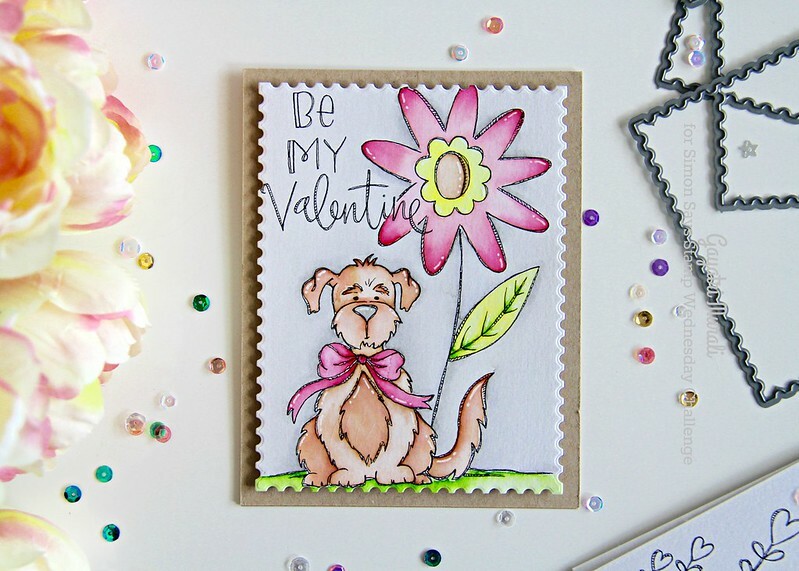 I coloured the printed watercolour panel from Suzy’s Take My Heart from Hey Love collection using Zig Clean Colour Brush Pens and water brush. 3. I die cut the panel using the largest of the postage stamp die from Postage Stamp Edge die set by Simon Says Stamp. 4. I adhered this panel on the card front using foam adhesives. 5. Finally used white gel pen to add highlights. Simple and quick to create. 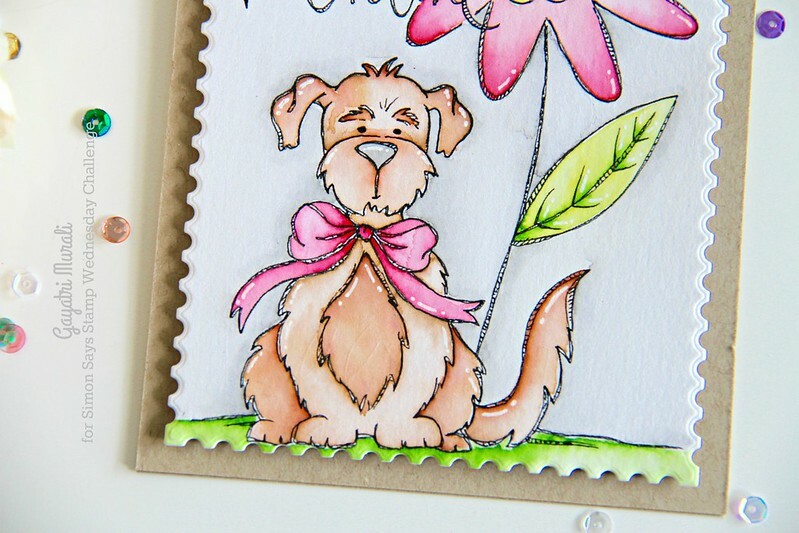 Couple of closeups of the card. Thanks for stoping by my blog today. Have a lovely day!